This mask has a unique shape and is hand painted. Mask is accented with large feathers. 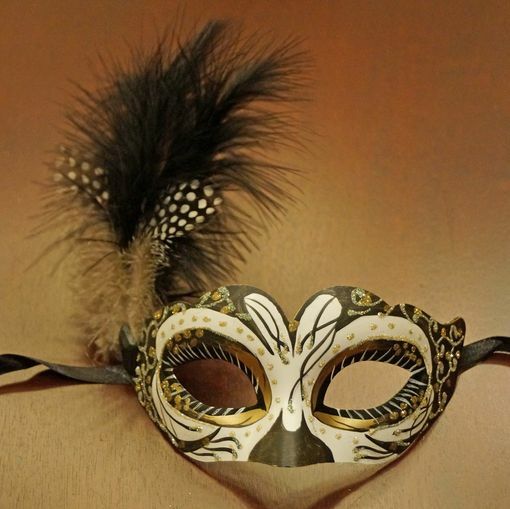 Great for Masquerade and Halloween style events. Secures with black ribbon ties.